Host Honor Review 2019: Is Host Honor a Good Hosting? 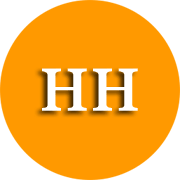 Host Honor is a web hosting provider that offers shared, VPS, reseller, and dedicated hosting. While it does offer an above-average feature set and unlimited resources, the lack of a few essential website elements undercuts the overall value. Host Honor was founded in 2016 and offers web hosting solutions out of a U.S.-based data center. While it tries to offer a decent array of features such as SSD storage and dedicated IP addresses, its packages are missing a few key components that would make Host Honor a top-notch company. Its services are offered in English, although its website also appears to be written in Macedonian in certain sections. One thing you’ll immediately notice with Host Honor is that all its shared hosting packages offer unlimited SSD storage and bandwidth. You’ll also be able to host up to ten domains with just the entry-level packages, making these plans seem too good to be true. But here’s the catch: you won’t find SSL certificates here, nor will you get a free domain with any of the plans. On the upside, Host Honor does use server performance boosters such as the LiteSpeed Web Server, CloudLinux OS, MariaDB databases, and Cloudflare. You’ll even have an uptime guarantee backed by credit in the event that your website drops below 99.9% uptime in any given month. Overall, while Host Honor’s packages aren’t the most all-inclusive, it offers a decent feature set nonetheless. That said, Host Honor appears to have tailored its packages for beginners rather than more advanced webmasters. You’ll get access to a free website migration service and daily backups, but there’s no mention of whether you’ll have cron jobs or SSH access. It’s also unclear what version of PHP and MySQL it supports, so you’ll have to check whether the platform’s scripting functionalities are up to your website’s requirements. Considering the number of domains you can host with each account as well as the unlimited storage and bandwidth you’ll have, Host Honor has priced its packages very reasonably. Bear in mind that you’ll have to factor in the cost of domain registration and SSL certificates separately, though. You can opt for a monthly, quarterly, half-yearly, one-year, two-year, or three-year contract. Unfortunately, there are no discounts available even if you select a longer term. You do get a dedicated IP address for free with the highest-tier package, though that’s not much consolation since you’ll have to pay for the domain and SSL certificate. Host Honor does not offer a money-back guarantee. Support is below average. 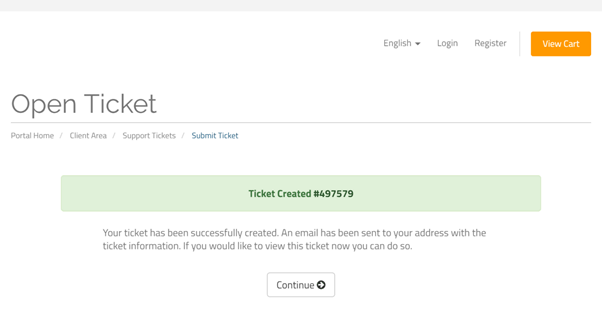 You’ll only be able to reach them via email or tickets. Not only are the available channels rather limited, but the support staff were also unresponsive. Even after a few days, they still hadn’t responded to my ticket. Most of the user reviews online claim that Host Honor is dedicated to providing reliable and efficient customer assistance, but my experience said otherwise. They also have a knowledge base, but it isn’t very helpful. Host Honor offers decent packages at an affordable price range, although domain registration and SSL certificates will have to be purchased separately. However, the company’s poor customer support may be cause for concern. 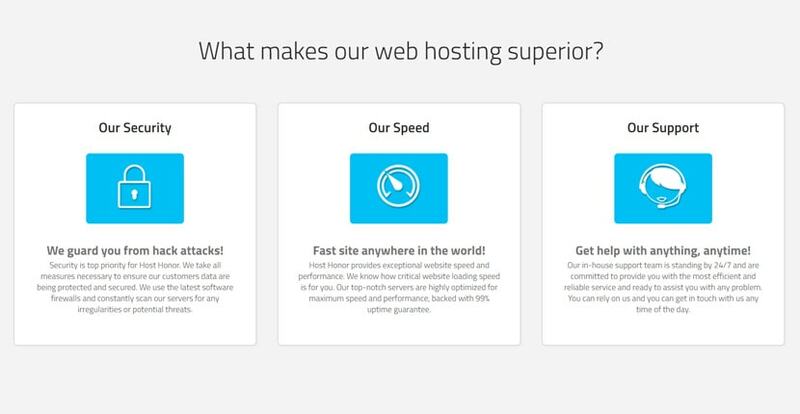 Wondering how Host Honor stacks up against other Web Hosting companies? Enter any other Web Hosting company and we will give you a side-by-side comparison.